Android for PC – The new version of Phoenix OS 2.1.1 is now available for download. Phoenix OS is an Android operating system modified for PC. 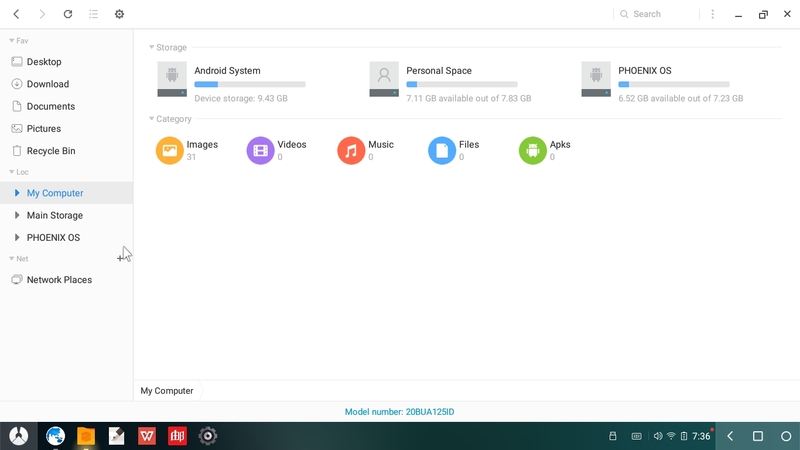 So you can run this Android on your Laptop or Desktop PC. 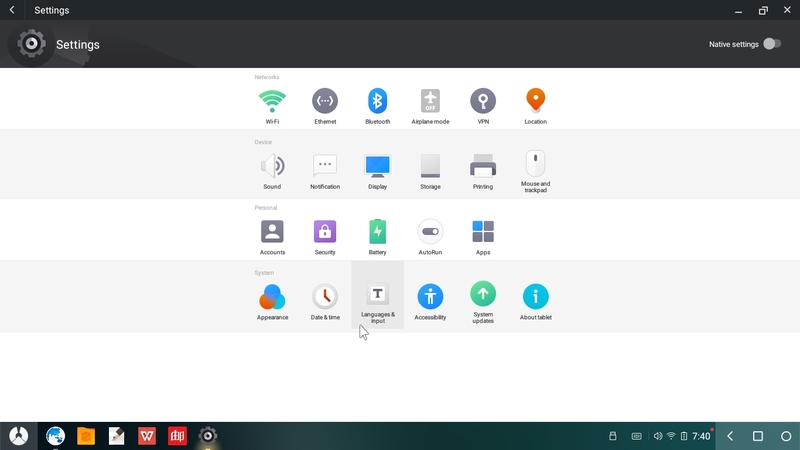 The new Phoenix OS 2.1.1 is powered by Android 7.1 and I am currently testing this OS on my Lenovo ThinkPad T450 laptop series and I will give some thoughts and screenshots of Phoenix OS 2.1.1. 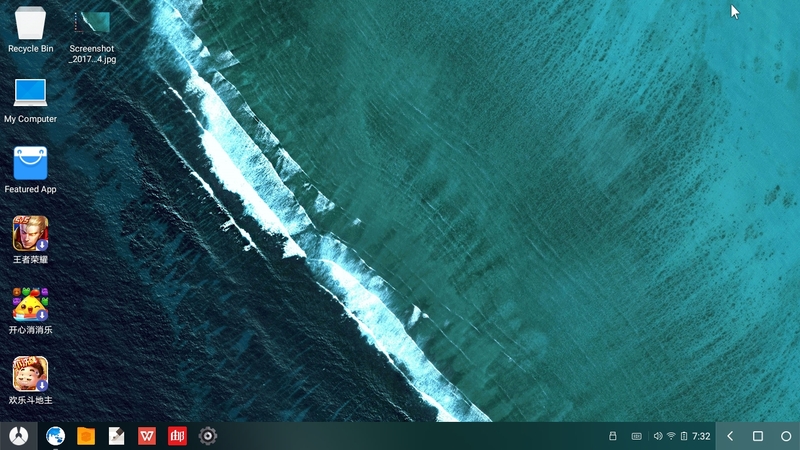 With the shut down of the Remix OS few weeks ago, personally I wish that Phoenix OS development will continue. Its a great Operating System. It is very comfortable to use this OS on a computer. I am running Phoenix OS 2.1.1 Live USB created from a Windows machine using Rufus. I tried to create Live USB using Etcher but it says it doesn’t bootable. But with Rufus, everything works perfectly. During boot process in Live mode, you will be asked to choose the language. English is listed so if you prefer English other than Chinese, its not a problem. The internal hard drive (which is contains Windows partitions) does not mounted by Phoenix OS Live Mode. I am not sure if I install it on my hard disk, it will recognize Windows partitions. The file manager can be used to connect to remote Samba share. Its a great feature if we are working with remote files. You can easily change the system preferences on Phoenix OS 2.1.1 via System Settings. It contains everything you need to modify the system such as Network connection, Desktop background, Diplay preferences, VPN connection and many more. 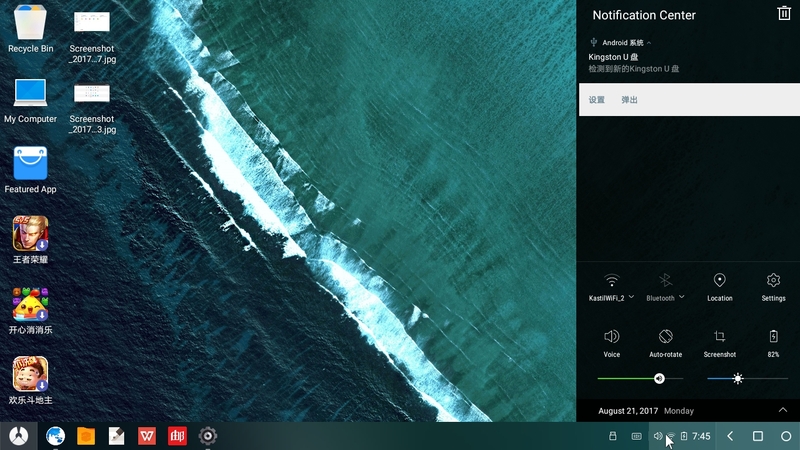 Phoenix OS 2.1.1 comes with notification center update. Now its more informative and very useful.